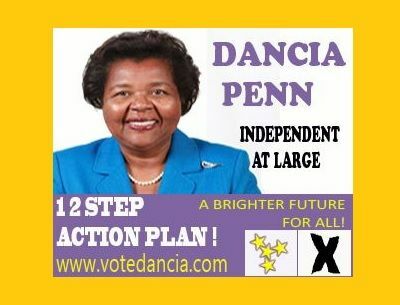 The campaign website – www.votedancia.com provides a comprehensive look at Ms Penn’s track record and accomplishments in her past roles as 8th District Representative, Minister for Health and Social Development, Member of the House of Assembly and Deputy Premier. “It also confirms her as a refreshing choice in the 2015 general elections [and] further highlights the major political, social and economic issues affecting the Territory and which have compelled her to enter the race,” said a press release from Penn’s campaign office. It said a key feature of the site is the outline of Ms Penn’s vision for the Virgin Islands, concisely detailed in her ‘12 Step Action Plan’ which is hinged on four major themes: Economic Growth, Social Development, Healthy Communities and Environment, and Good Governance. “Once there is a general election and there is a new House of Assembly created members of the House will have to work together to seek to address the problems that we think are there. I have outlined solutions in my launch speech…we need to strengthen legislation, we need to help to increase our human capacity through education at all levels,” she said today May 29, 2015 in an interview with this news site. She said the House of Assembly needs people who are not just seeking a seat there for their own reasons but people to have the interest of the territory at heart. “We need men and women of integrity and strong moral fibre. We need people who have the love of the country at their core and who believe that the country is bigger than us,” she said. The former Deputy Premier said that despite the short time available for the campaign because of the snap election, she said the response to her candidacy has been good. “I would like to thank the people for the confidence that they have expressed in me and that interest that has been generated by my announcement,” she said. Penn made the point that she has a strong record in the private sector, in the public sector, as a lawyer and as a member of the community. It is a record of honesty and integrity which are fundamental in public life and I stand on that record,” she said. Penn said she will be making appearances on radio and will be visiting the islands of Virgin Gorda, Anegada and Jost Van Dyke as the days countdown towards elections on June 8, 2015. According to the release, the site which will be regularly updated, provides the public with Ms Penn’s speeches and upcoming events. Ms. Penn, you are a decent lady. As a get thing done politician, the jury is still in discussion. Independent what. She is a VIP At-Large candidate. I don't know who she fooling. Albert is running in the district not At-Large. Mr Wheatley is Independent boss man. Must listening his reasoning for not going to a party. He wants to represent EVERYONE. that why I voting for he instead of them nasty ndp and vip. Mrs.Danciamade an excellent choice I believe. how refreshing! a candidate whose integrity and honesty is absolutely unassailable! how different from what we have in there now. I wasn't going to vote but now I will. if an at large ballot has only one X is it still valid? My sister is also SCB or am I Astra writing under that name? Why waste votes behind a candidate who is not aligned to a party? Dancia, sorry, bt not my vote, plus we know your track record from former HOA -- tay wasn't good. Given what is before me, I am inclined to support her. She knows what is there so I trust that she would not disappoint me. We need hard working people. Alvin used to work as a minister but since he aint done feeart for the Second District. Dancia's track record is not so good. People don't view her as with no party so that will hurt her. Maybe next time. You surely have my vote win or lose .....each and every time you try. Thank you Dancia, since 1999 we switching back and forth between these two parties. Withe PEP and the other independents I finally have a choice at putting some decent people in the hoa. This is pick and choose season. You can't get new with the same old same old. A woman of class, she is honest, intelligent, respectful and respected. She has my vote any day. 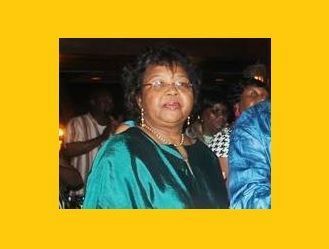 Ms. Penn-Sallah I salute you for standing even if you are standing alone and you have 100%support from me. I agree that we have some decent people running outside of party to choose from. Be smart when you go to the polls. WE CAN TRUST HER !! Absolutely, she can hold her own anywhere and with anyone. We will be proud to follow her. So thankful a solid candidate who is not involved in empty promises - I read her outline of action, and someone who has not bowed so low as in personal attacks and name-calling. We want her to be the first female premier in the country. We hope that if she is a 7th for any party she don't go in there trying to cause a mess. You know what we can stop that before it happen. We going straight. No NDP supporter but if a theme song ever fit somebody it's her. Lots of fancy talking but what is her record while in office? If her actions matched her talk and reputation, Marlon would have had no call beating her but people tend to notice when things are not being done. LIE FROM THE PIT OF HELL!!!!! !